When Gareth Bale struck the ball from 30 yards towards England goalkeeper Joe Hart, there was a pause of tentative expectation from the watching Wales fans. It felt like it couldn’t be happening, like it simply wouldn’t happen. But it did. Wales, a footballing nation that had for years warranted little praise – but for the occasional patronising pat on the back – had taken the lead against a British rival, a rival that had seemed so superior. And although it was England who would eventually inflict Wales’ only defeat of Euro 2016, Bale’s swerving, slightly fortunate free-kick proved symbolic. It was Bale who led the line, providing the moments of individual brilliance in a team that had created an enviable sense of collectivism. It was Bale who found the net three times on the way to an unprecedented semi-final, Bale who acted as the leader, the instigator and the creator. But what has been most impressive about Bale’s impact for the national team is his willingness to use his ability as part of the collective, not to enhance his own reputation or attract praise from those still unconvinced in Spain. Eminence has inevitably arrived with his influential performances at international level, but there is no sense of superiority from a player just as patriotic as the supporters who idolise him. That humbleness has brought more admiration for Bale. He has never admitted to being the key component in a team of excellent organisation and a number of other talented players, but it’s evident that his ability has taken Wales to another level. Bale will overtake Ian Rush’s national team goal record soon – and he’s still only 27, as well as Neville Southall’s caps record of 92. At club level, Bale has emerged as one of the game’s most recognisable faces. His form at Tottenham, having moved from left-back to a ferociously quick and strong left winger, alerted the attention of Real Madrid. Bale would become the first, and only, Welsh Galáctico, signed for a then world record fee of £85 million. Though he was not yet the finished product while at Spurs, Bale had already proven himself unlike any player in Welsh football’s history. His single-handed destruction of Inter Milan right-back Maicon attracted worldwide attention, and he was soon lured by the prospect of the Santiago Bernabéu. Bale’s move to and success with Real Madrid can only really be compared with one other Welshman, John Charles, the imposing centre forward who led Wales to their only World Cup in 1958, who was prolific in Italy with Juventus. A fan favourite, he was voted as the club’s best ever foreign player in 1997. But Bale’s success with Los Blancos sets him apart. His trophy haul has grown ever more impressive, to the point where it would be a surprise to see any Welsh player replicate his achievements. Bale has accumulated a La Liga title, a Copa del Rey and three Champions League trophies before he has even hit 28, and there is a feeling that there could be far more to come with Real Madrid. 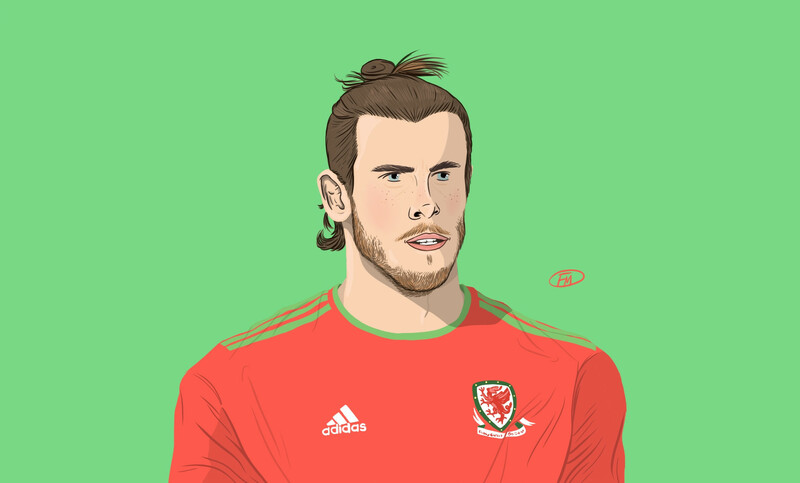 Few Madridistas will have been aware of the fortunes of Welsh football before the arrival of Bale, but the Cardiff-born winger has brought his country to prominence both in Spain and throughout Europe. He has, however, not been without criticism – few are at Real Madrid – and not without periods of struggle.